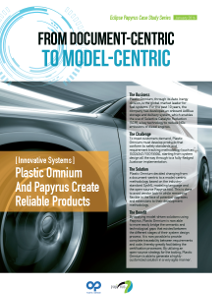 A new video demonstrating Papyrus for Robotics capabilities is available here. The Eclipse Papyrus 4.3.0 2019-03 release is now available! Go to the Download page to install it as an update site or a zip archive. The associated RCP will be released during the following week. The Papyrus for Robotics customization is now available! Go to the web page and install an update site or RCP from there. The Eclipse Papyrus 4.2.0 2018-12 release is now available! Go to the Download page to install it as an update site or a zip archive. The associated RCP will be released during the following week. Eclipse has stopped its support for 32 bits systems launchers. Papyrus 4.2.0 RCP and onward will not be released for 32 bits environments until a 32 bits launcher solution has been found. 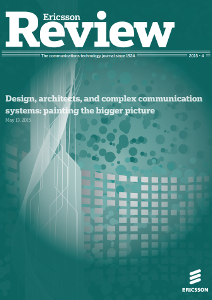 Papyrus provides the complete package for software design professionals: from architects to developers. 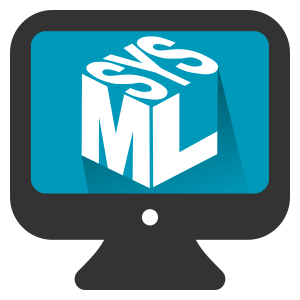 Implemented standards: UML 2.5, SysML 1.1 & 1.4, fUML 1.2.1, ALF 1.0.1, MARTE 1.1, BPMNProfile 1.0, BMM 1.3, SMM 1.1, PSCS 1.0, PSSM 1.0b, FMI 2.0 and ISO/IEC 42010. Eclipse Papyrus is an industrial-grade open source Model-Based Engineering tool. Eclipse Papyrus has notably been used successfuly in industrial projects and is the base platform for several industrial modeling tools.
" 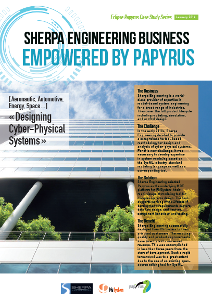 Sherpa Engineering business empowered by Papyrus "
" Giving birth to safe robots - A human’s best friends "
" A collaboration platform for avionics systems "
As part of Polarsys (the Industrial Working Group of Eclipse), Eclipse Papyrus has become a PolarSys Solution. In addition, in order to federate the industrial needs and efforts on MBE, a Papyrus Industry Consortium has been setup. Finally, Eclipse Papyrus being open source, it has become the natural choice in academia for both teaching and research purposes. 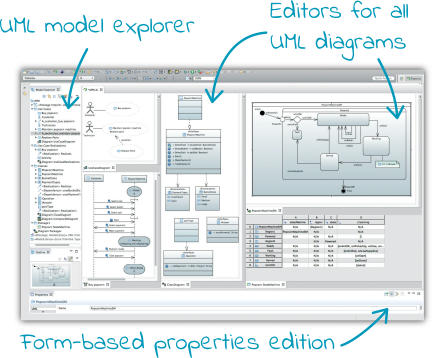 Eclipse Papyrus is graphical editing tool for UML 2 as defined by OMG. Eclipse Papyrus targets to implement 100% of the OMG specification! Thanks to Moka, Eclipse Papyrus can execute models using a rich and extensible animation and simulation framework. 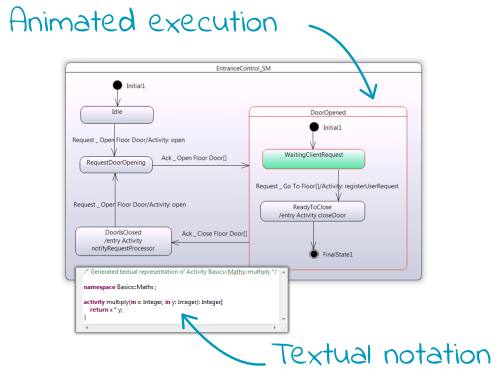 Also, as graphical modeling is not always the best way for specifying the behavior of executable models, Eclipse Papyrus provides textual notation edition with syntax highlight, completion and content assist. It is of course a customizable feature of Eclipse Papyrus. All the modeling features of Eclipse Papyrus are designed to be customizable and to maximize reuse. 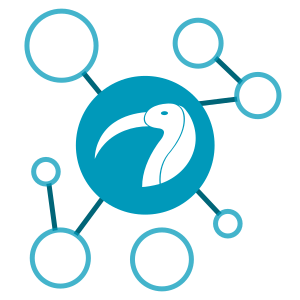 Therefore, should you want to adapt the standard configuration for a specific domain, notation, modeling practice or use the powerful customization mechanisms of Eclipse Papyrus to adapt the modeling environment to suit your needs. 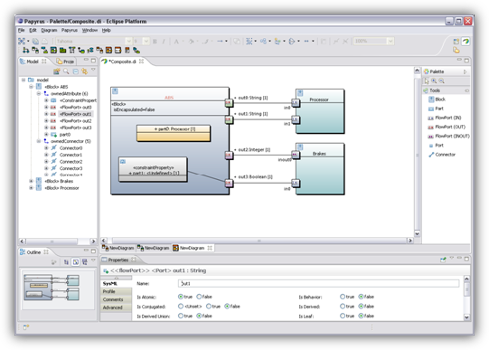 Many configurations in Eclipse Papyrus being model-based, the customization can be done live. 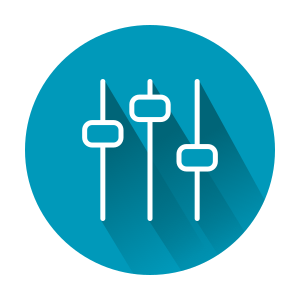 Define your own graphical, textual or tabular notation. Filter existing palettes or define your own ones with a model-based configuration. Define dedicated properties views to present just the characteristics that are important to you. Read your model with dedicated model explorer structuring and rendering. Reuse standard languages or define your own modeling language thanks to the UML profile editor. Papyrus RT for Real-time Systems modeling. Papyrus for Robotics: a Papyrus-based modeling environment dedicated to robotics. Papyrus PolarSys Solution: Eclipse Papyrus packaged as a PolarSys Solution. Papyrus Tools: a collection of tools that complement Eclipse Papyrus. Eclipse Safety Framework: a set of tools for integrating safety techniques within a model driven engineering process.